With dozens of stars in the world’s top leagues, Denmark is a powerhouse of the European esports scene. It is also home to a booming online betting industry. 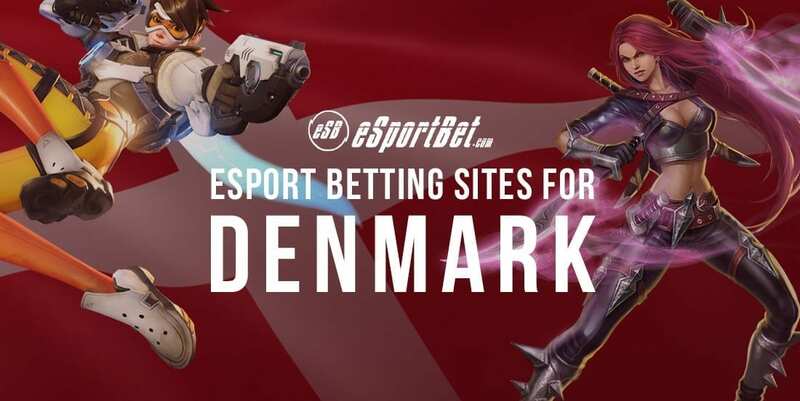 Read up on Danish gambling legislation, check out the top gaming leagues and find out where the nation’s punters can have a bet on esports online. Each of the esports betting sites above accepts gamblers from Denmark. All are licensed and regulated, and we recommend signing up at several bookmakers so you can compare the odds and guarantee the best price on any market. Betting on pro gaming is no different to having a wager on any other sport. Bookies run all kinds of markets for esports, including match odds, handicaps, over/under lines, correct score bets, and a wide range of exotics, props and specials. There are also outrights and futures for the world’s biggest esports leagues and tournaments. Whether you use PC or Mac, iOS or Android, our featured betting sites are sleek, intuitive and easy to use. Compatible web browsers include Chrome, Edge, Firefox and Safari. Placing bets is a piece of cake, but you can find out more in our guide to esports odds and how they work. Denmark’s own Astralis topped the Counter-Strike: Global Offensive esports rankings in 2018 with four titles and several more top-four finishes. Highlight events on the CS:GO circuit include the ELEAGUE finals, the FACEIT Major and the Intel Extreme Masters. A number of Denmark’s top gamers have made their name in Dota 2 esports, including Johan ‘N0tail’ Sundstein – one of the all-time money leaders with well over US $3.7 million in career earnings. There is no prize bigger than The International, which sported a pool of $25m in 2018. Although the League of Legends esports rankings are dominated by gamers from Korea and China, there are several Danish players competing in the European LoL Championship Series (EU LCS). The top teams in that tournament go on to the League of Legends World Championship. Credit and debit cards – We have yet to find a licensed bookie that does not accept MasterCard and Visa products. Web wallets – Neteller and Skrill e-wallets are available for deposits and withdrawals at most reputable betting sites. Direct banking – A number of the top online bookies accept instant bank transfers with Citadel Direct. Prepaid solutions – Entropay and Paysafecard are excellent choices for people who prefer prepaid payment methods. Cryptocurrencies – More and more licensed betting sites are accepting transactions made with Bitcoin and Bitcoin Cash. Wire transfers – Standard banking is ideal for high rollers who want to move large sum of money at time. Processing times and transaction limits vary from bookie to bookie, and not all options are available for withdrawals. For more information, see our guide to banking methods at online bookmakers. Until 2012, there was only one licensed betting operator in Denmark – the government-owned Danke Spil. All other gaming and wagering companies were banned, including offshore bookmakers and online casinos. That situation had to change for the simple fact that the government’s attempts to block foreign sports betting sites proved utterly futile. Casino games, lotteries and horse racing still belong to the state, but now there are hundreds of wagering firms operating in Denmark. The opening up of the online gambling sector has had a massive impact on the Danish economy. It has also helped Danke Spil, which experienced a 60 per cent boost in revenue after the new regulations were introduced.